This is something that took me quite a while to wrap my brain around. I really thought the folks who taught that Kangen’s™ Strong Alkaline water could be as good of a detergent, degreasor or stain remover as any commercial brand were making exaggerated claims. How could using JUST water really be an effective cleaner? Unfortunately, I had bought into the wrong thinking that if something was really going to be an excellent cleaner, then it HAD to be something more than just water. 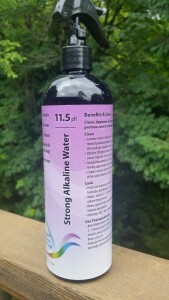 Why Kangen’s Strong Alkaline Water is the Best Cleaner! 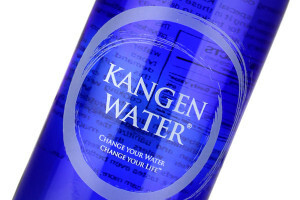 Finally, I heard an explanation that was so simple, yet, it clearly explains WHY Kangen’s™ Strong Alkaline Water works. This is what I learned. Most of us use some form of soap as a cleaner. 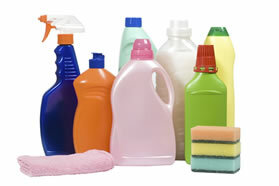 But, why do we use soap and what’s in it that makes it an excellent cleaning agent? Well, what is the basic ingredient in soap? It is sodium hydroxide. The reason sodium hydroxide makes such an effective cleaning agent is because it lowers the surface tension of the liquid it is in. This helps the water penetrate whatever it is we are trying to clean. The water can now more easily get to the dirt and pull it out! The end result is that the dirt is removed and we are happy! Using the Most Natural, Greenest and Purest Cleaner We Could Ever Use! When the Kangen Water™ machines make the Strong Alkaline water, it uses the sodium in the electrolysis solution to combine with the hydroxide ions in the water to form sodium hydroxide which IS the main ingredient in soap without all of the extra chemical additives!! So, when we are using Kangen’s™ Strong Alkaline Water, we are using water that is high in sodium hydroxide. This is why it is such an effective cleaner. And, since it is just water, when we use it, we are using the most natural, greenest and purest cleaner that we could ever use! As It Ages, It Just Gets Better! Another question that I have had with the Strong Alkaline Water was, “How could it get stronger as it aged?” This one made no sense to me at all. 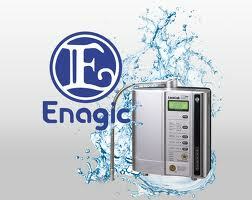 I knew all of the drinking waters that Enagic’s machines produced become weaker over time. The 8.5, 9.0 and 9.5 drinking waters all have a short shelf life and are best consumed as soon as possible after coming out of the machine. After about two and a half days, the energy has completely dissipated from the drinking waters and they can no longer be considered to be Kangen Water™. When the energy dissipates out, the water is just filtered water. So, how does the Strong Alkaline Water get stronger over time when the other waters become weaker over time? Calcium is an alkaline mineral that is in the Strong Alkaline Water. The harder your water, the more calcium you will have in your water. Calcium, however, does not “like” a pH of 9.0 or higher and will start to separate from the higher pH waters. In areas that have hard water, you might have observed the calcium deposits on the glass containers if the water has been stored for a short period. The calcium is settling out of the high pH water. When we store the Strong Alkaline Water, we are giving time for the calcium to settle out of the water whether it is clinging to glass or settling to the bottom of our container. Less calcium in the water means a BETTER cleaning agent as there is now a higher proportion of surfactants in the water. And surfactants are what reduce the surface tension of the liquid in which it is dissolved. This in turns allows for the dirt to be pulled out. 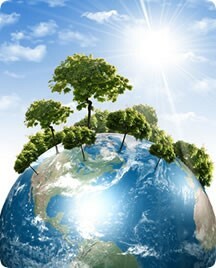 The Best Choice, Not Just For Us, But For the Planet As Well! Bottom line – if you want to experience one of the best cleaners you will ever use while at the same time use a natural, green, chemical free product, you will want to age your Strong Alkaline Kangen Water™ for a few days. After you start cleaning with it and experience the magic of this water, it will become your new “go to” item when cleaning. Why use products that are possibly harmful not just to our environment, but potentially even to ourselves and those we love. We have another choice. We can simply use the correct kind of water! Order your machine today at www.PortlandKangenWater.com! Or, if you would prefer to use a payment plan, contact Marianne to find a plan to fits your budget!